What a great week it has been to be a spirits enthusiast! February 22 was recognized as National Margarita Day and tomorrow, February 27, is National Kahlúa Day. 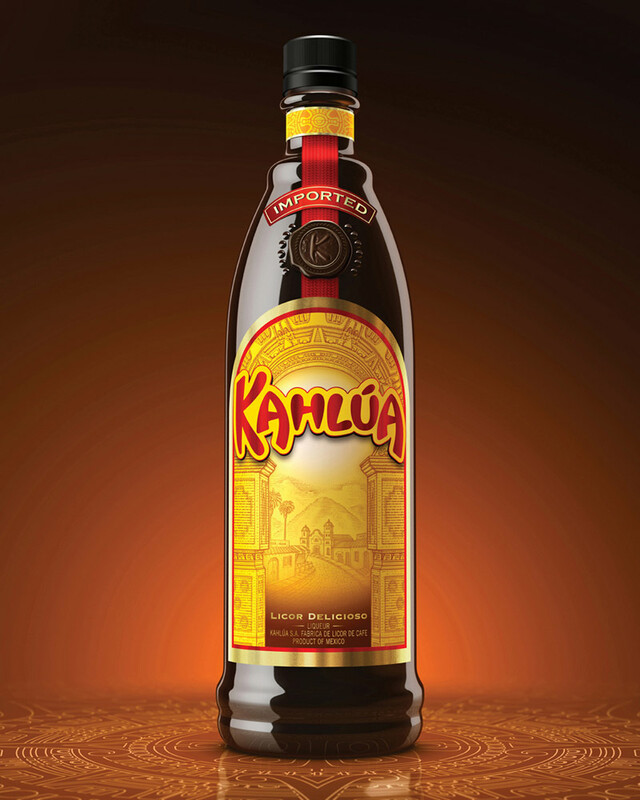 Kahlúa Coffee Liqueur is, for me, a go-to liqueur when I’m looking for something smooth, sweet, and diverse enough to mix in a variety of cocktails. Plus – as I mentioned in my last post – I’m a sucker for coffee. The combo of the coffee and vanilla aromas in Kahlúa is just legendary. 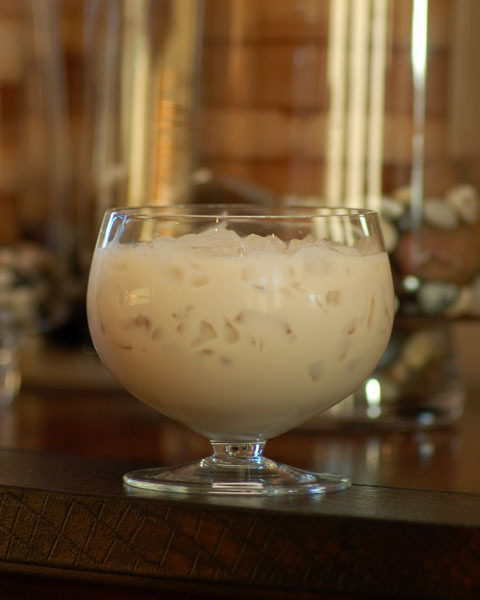 Pour Kahlúa Coffee liqueur and milk into a shaker. 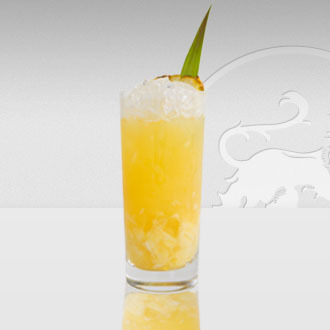 Fill the shaker with ice and add Leblon Cachaça. Shake vigorously. 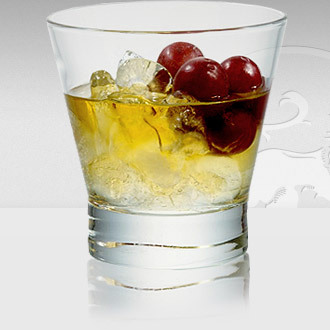 Serve in a highball glass Top with cola. I am a sports nut! Talk to me about football, tennis, basketball, soccer, baseball, college sports – I promise, I’m all ears! I am addicted to coffee. Hands down, cannot last through the morning (or afternoon) without it. I need more than a cup to get my daily ‘jolt’. I drink only black. I have invested a small fortune into Starbucks. You get the picture, right? So while I could write an entire novel on how David Lee Roth is a better front man 1000x more than Sammy Hagar, I’ll dabble into something more relevant: coffee cocktails. So toss the energy drink aside and try one of these enticing java drinks instead. Pour the espresso into an empty shaker. Add Anisette, gin & optional bitters. 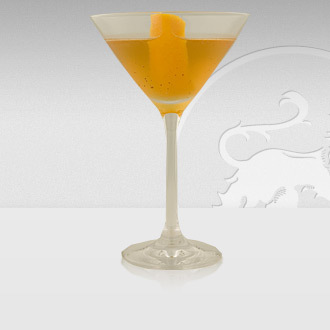 Fill with ice, shake and strain into a chilled martini glass. Garnish with 3 espresso beans. Combine liquids in a cocktail shaker with ice. Shake to blend and chill. Strain into a goblet over fresh ice. I also hope to get to know you better as well. Shoot me an email or add me on Twitter @stephaniejerzy. I look forward to connecting and chatting cocktails in the near future. Check out this great video from Pernod Absinthe, in which Joaquin Simo (of Death & CO.) waxes poetic about Absinthe, cocktails, and showing his guests a good time. Bar Smarts is back, baby. You may recall my mentioning this bartender education program, which is put on by both Pernod Ricard and the folks from the BAR. Last fall there were a string of Advanced live session across the U.S., as well as the launch of an online version-Bar Smarts WIRED. The program is expanding so you have another chance to take part! Bar Smarts WIRED, which is open to the public for a registration fee of $45, is now open! Visit the Bar Smarts website to learn more and register. The system will be open for two months. Bar Smarts Advanced, which is open to bartending professionals, is visiting new cities this Spring, including Seattle (4/27), Washington DC (4/29), Orlando (5/10), and New Orleans (5/12). If you are bartender/mixologist and are interested in the program, please visit the BarSmarts site to be added to the wait list. Space is limited so be sure to sign up soon. 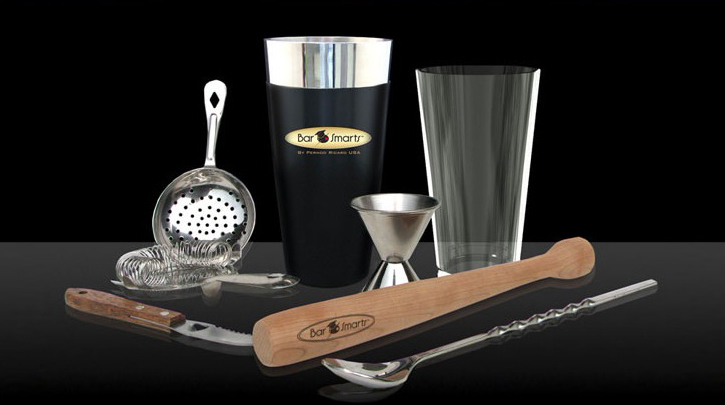 Participants in both WIRED and Advanced will receive a Bar Smarts bar tools kit (photo above), and Advanced students will get the chance to sling drinks for the likes of Dale DeGroff, Steve Olson, Dough Frost, F Paul Pacult, Andy Seymour, and Dave Wondrich. Check out the site and smarten up!